Bring 2 cups of cold water to a boil. Stir in 2 cups sugar. Reduce heat to low and stir constantly until the sugar dissolves. After "cooking" the sugar and water, add a handful of dried organic peppermint leaves. Allow the simple syrup plus peppermint leaves to cool, preferably overnight in the fridge. Strain out the leaves, then pour into a clean glass jar and store in the refrigerator. 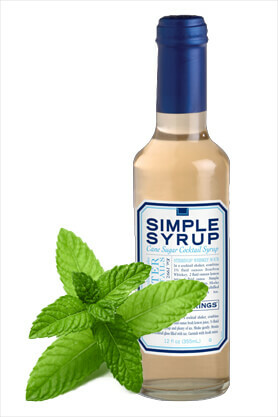 The mint simple syrup makes a great addition to iced tea. On Derby Day, you can add it to Bourbon poured over crushed ice for a perfect mint julep!